Meet Steve and Tracy from ‘Dusty Tales’. 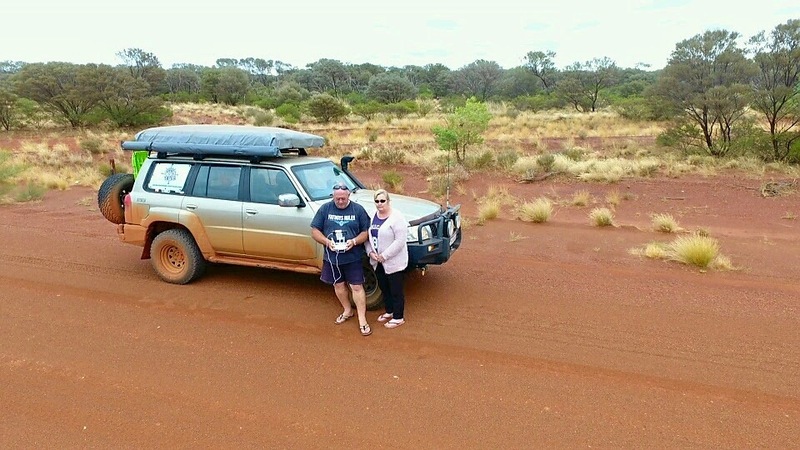 We chose them as our featured Adventure Seekers this week because we reckon they’re the type of couple you’d like to meet on a remote 4wd track and share a cold beer and swap stories with. 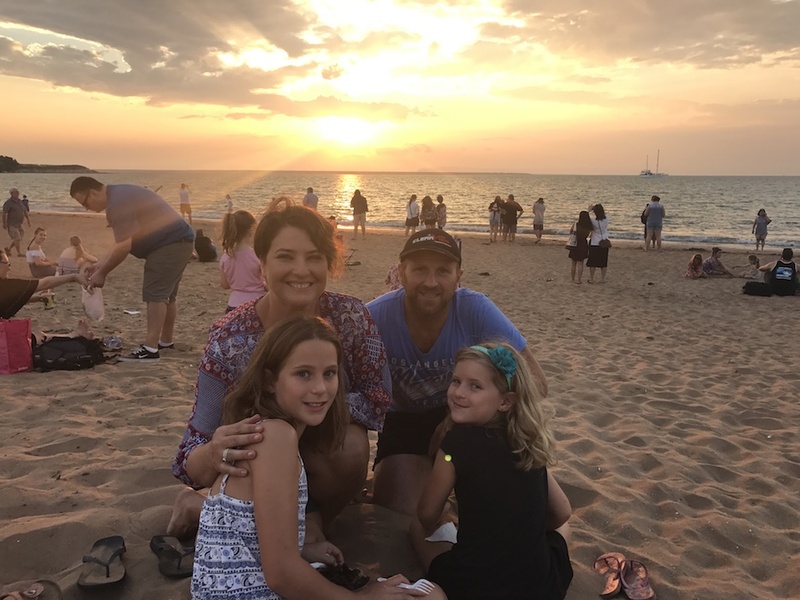 Steve has been exploring Australia since he was a child and his fun-loving wife Tracy, who shares his passion for adventure is more than happy to get ‘dusty’ alongside him. Names and Call Sign: Steve & Tracy McLaughlan, Dusty Tales. Describe yourself in 5 words: Easy going, adventurous, energetic, fun. Working and saving for the next trip. We try to take two trips of one to two weeks a year. We’re about to build and move to Bridgetown which is taking up a lot of our time, but in the long run it will free us up to do more travelling. 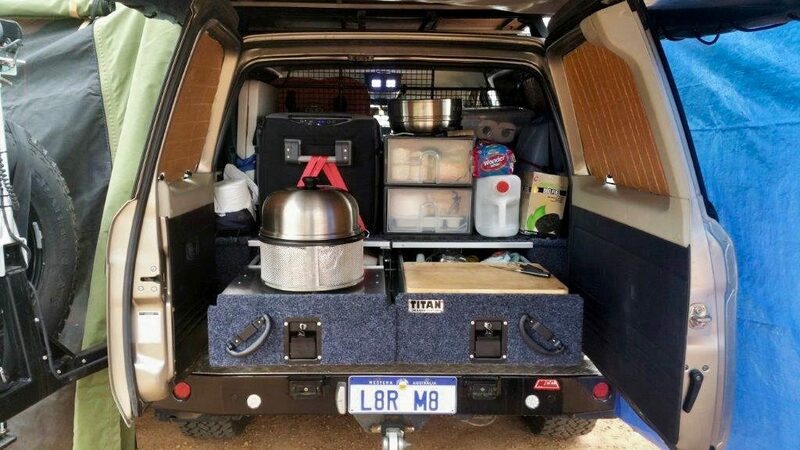 We have a GU patrol with a full-sized Rhino rooftop tent; the rear drawers double as a kitchen with a cutting board and alloy insert. A Suzuki SJ410, underpowered, however, it went everywhere. Long story. 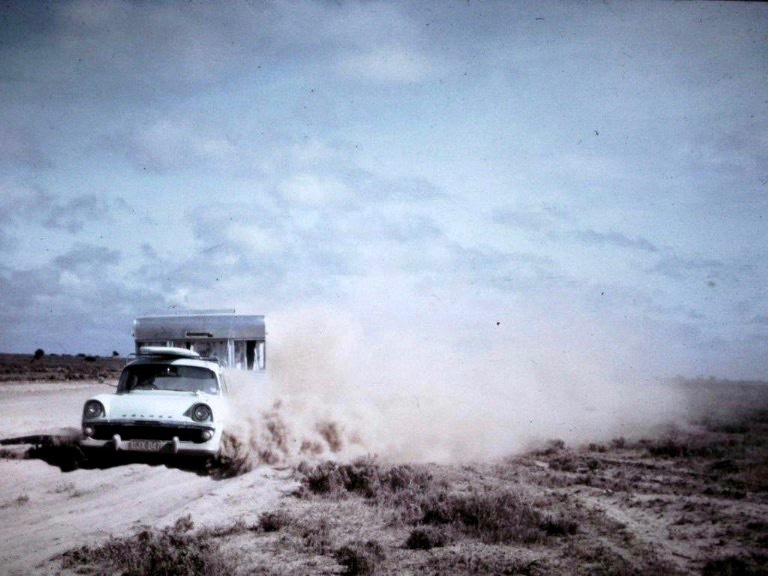 In the 1960’s, my parents packed up in Perth and headed across the Nullarbor. For two years we travelled and lived in a caravan until it became apparent that “a Gypsy Lifestyle is not conducive to a child’s education”. We moved back to New Zealand, and I longed to carry on the adventure. Overlander magazines of the 1980s & 90s had me dreaming of the adventure. It wasn’t until we moved to Perth in 2000 that we started to fulfil this yearning. The goal is to do a lap in the future, but now we pick an area of interest and spend a bit of time there. 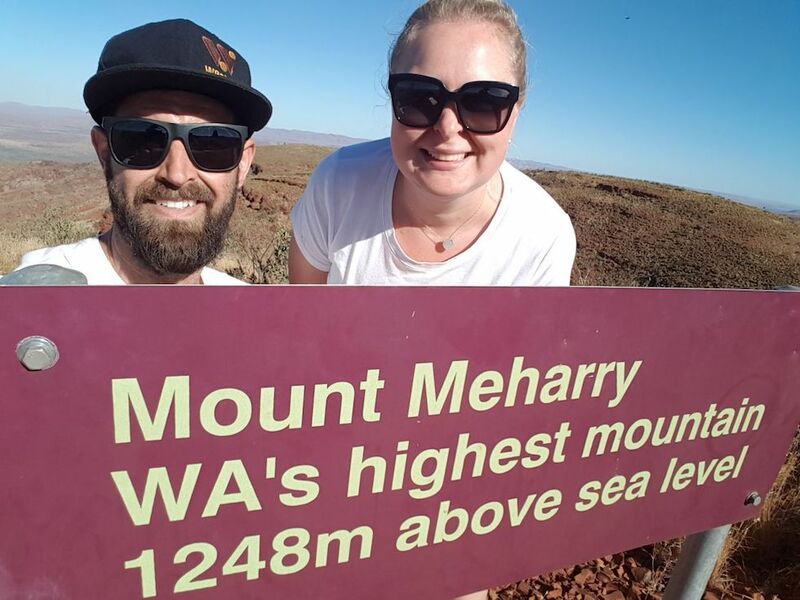 If I had to pick one that we always talk about, it would be Steep Point. However it always seems that our last trip was the best trip, so it is fair to assume the next trip will be. On the Great Central Road we approached a car that looked like it had rolled, no glass in the window, gear was strewn across the road and three people were sitting on the side of the road. It turned out they had a flat tyre. We fixed that and gave them a few bottles of water. 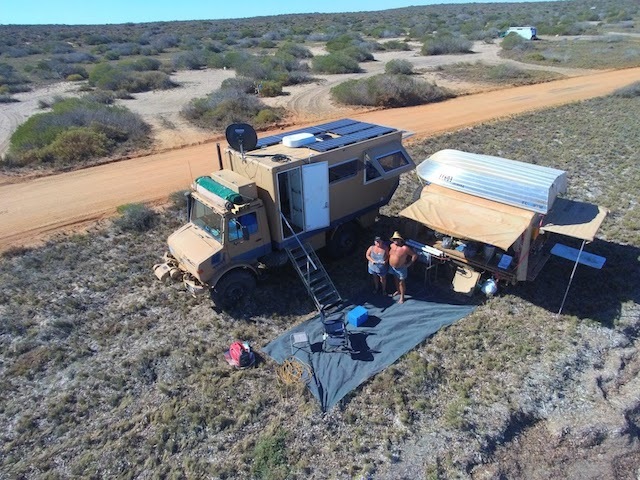 They had slept on the side of the road that night as nobody had been past and as the road was closed not long after we started on it, the chances of someone else coming past was remote. During our entire camp trip at Cape Arid National Park, there was a whale and her calf swimming in the surf break, no more than 50m off shore. Remote, a clear sky filled with stars, a small fire providing a warming heat. And bourbon must have a bourbon! They all are! Will there be enough time to do them all? 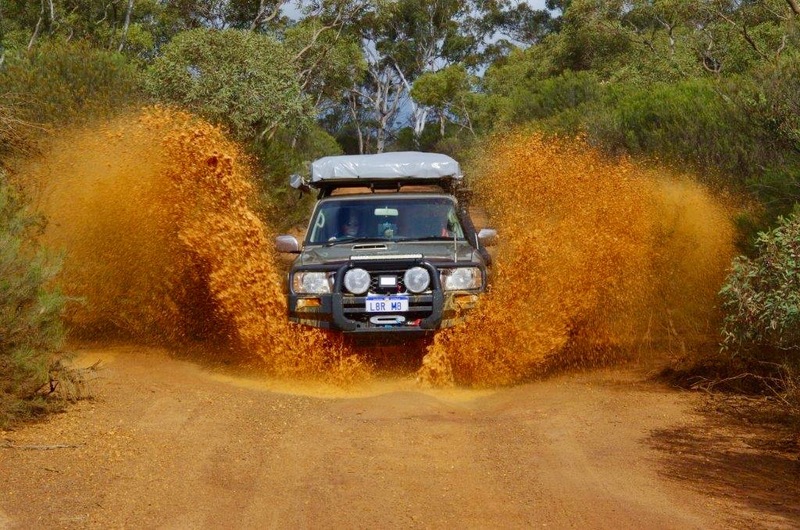 Gibb River Road, Mitchell Falls, Savannah Highway, Cape York are on the short list. Don’t skimp on your recovery gear! Get the best you can afford. 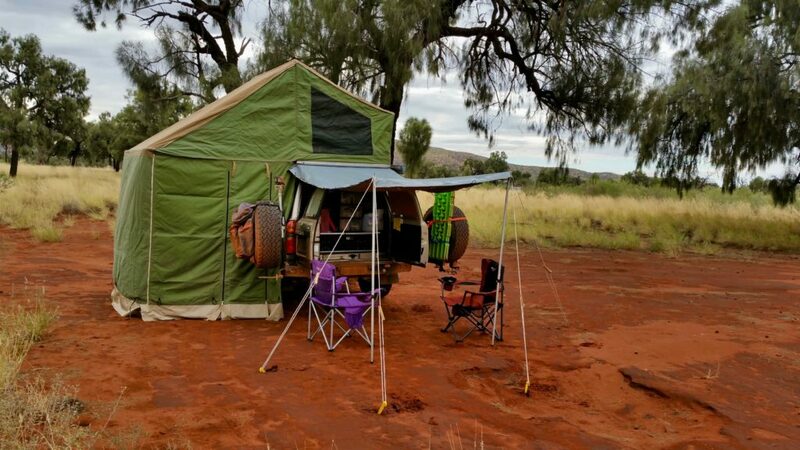 When you get back from a trip and unload, check your camping equipment and if you haven’t used it in two trips you are unlikely to use it at all, so put it aside. You will be surprised how much gear you do not need to carry. Our Cobb Cooker, we are always cooking a roast lamb, beef or chicken with spuds, pumpkin and veges. The Cobb Cookers travel well and always provide cold meat for the next day. I always laugh as I remember another fellow camper walking past us one day with his open can of baked beans in hand looking at us in amazement saying “and you’re having roast chicken? !” I didn’t have the heart to tell him I was about to make a cake as well. haha!